I've only just started looking for a Renault Sport model car in the last week or so, actually went and had a look at my first RS250 yesterday and fell in love with the car. the model I saw was a 2011 with 70K on the odometer, RS yellow with 265 rims had a few small dints on the roof. I was surprised how cheap some of the cars are for sale on Car Sales & Gumtree being 2011 models and above. 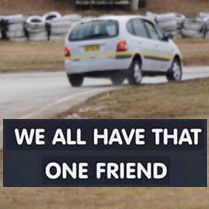 I have done some research on problems and cant find much other than one guy saying he had an engine mount that had broken and another guy saying he had some tyre wear and a sore jaw from grinning too much. I'm sure I'm in the right place to ask, 'What long term reliability problems are there and what would you guys/girls look for when purchasing a RS250 or 265?" Feel free to throw thoughts of models & whatever comes to mind that may be useful to me. BTW i'm looking at spending anywhere fro 20k - 25k. Otherwise it's only bits and pieces like the rubber lining "rabbit ear"-ing at the tail end of the rear windows. Maybe some issues with the radio, but basically nothing. The body work/panels don't seem to fit that great, which was something I used to care about until i bought one!! Check out the classifieds section in the forum, as the people on here tend to over service their cars and get them looked after by people like Paul V and renotech who are always going to be far better than dealers at taking care of these beauties. If you're in Sydney or if you're buying from Sydney definitely get the above-mentioned mechanics to do a once over on the car you're about to buy. Ditto. Welcome to the forum. For the top end of your budget you could get a newer model than 2011 in all probability and potentially fully loaded one. Dont shy away from high K's. You could save a pretty penny and will be running fine. Had my 250 for 2 years and at 105k's now going strong. I have heard of newer models offering 5 year warranty so I'll keep an eye out for one. Also thanks for advice on Sydney mechanics like renotech that would do a proper job. I'm still a little gobsmacked on some of the prices, compared to something like a Gof GTI it's an easy choice! These things aren't motorbikes..105000 isnt high kms..people talk as if these motors are only good for a short time..lol..
Not so much a longevity perspective as a value perspective. Difference on orice between a low km example and high km is not too great. They are indeed robust and capable of handling lots of km's with good basic servicing. I am really suprised that the little difference in price between a high km compared to a low km. Still my mind would be at ease to know that the car has only traveled 40k compared to 105k. Would you say timing belt should be done at 4 years or 100k?? What if the car only has 40k and its a 2011 model? Welcome to the forum. I have had my MY 2012 265 for 3 years/75K km now and love every time I get to drive it. With regard to the belts the manual says '4 years or 100K km' whichever comes first. Which obviously means the belts should have been done in 2015. Logic tells you, that if the car hasn't done, or isn't near the 100K km mark, you should be able to to extend the time frame a bit, especially as the cost of changing them is significant. The thing to consider though, is it more costly to repair/replace a motor if the belt fails. Like a lot of things in life it's a gamble and some people are lucky and some aren't. Chances are you may get away with not doing them until 100K km but then it is your decision/responsibility. A word to Julian or Miles at Renotech (who have a great reputation on this forum) will provide an insight to the issues. Hope that helps. Good luck with your search. You won't regret buying one once you find one that suits. Factory specs are very clear. If km's are low it goes on time. Don't risk lunching your motor to take such a gamble. Remember the belts are both under tension and losing elasticity whether the engine is running or not hence why there is a time limit as well as a km limit. Just to add to the belts thing, there's just no point in not doing them on time. Firstly you have to drive around scared that they will break - which is generally depressing, secondly the car will run sub-optimally and you won't enjoy it as much. At $250 per year, it's not a huge operating cost. It's just a few hundred bucks to add a nice running motor to your enjoyment. Hardly a deal breaker on running-costs. how much do timing belts usually cost to replace in Sydney? Talk to Renotech they'll look after you, belts are cheaper than you think on a Meg 3, cheaper than a Clio 2 anyway. Was 800ish including the tensioners (no water pump) from memory! Good luck with the hunt. As what Ace said - there's little price difference between a Cup and a Cup Trophee. Get the latter and it has so much kit for the cash! I was wondering what the difference was from the Cup & Trophee, I've only inspected a 2011 Trophee so far. I wont be steering away from those recaro seats and the keyless everything option is pretty awesome. Is there any difference between the 2011 - 2013 model Trophee?? I noticed small things like seat belt colours and GPS/coloured display unit. That era of model naming and options is the most confusing thing known to humankind - this is not an understatement!! Last count there were 7 model names and I think almost all of the non-special editions had options. Needless to say, I can't answer your question, but if someone can they are an absolute genius. you can get a mechanic to check it? Yes definitely going to get it checked. Thought maybe it was familiar to forum members..
Did that belong to mothman? Interests:Cars, egg shaped ball sports, marine fish & corals. I'm from the U.K. & there are a lot of 225s, r26s & rs250 getting around quite happily with 160.000 + MILES on the clock. Don't be put off by Kms, just go for a spot on service history. I reckon the silence means no one knows it. Picked up my 2012 RS265 Trophy in Luna Grey last night from a gentleman in woollarah, only 33k's on the clock!pics to come real soon! Anyone know of AP Automotive in Carlton NSW for a good service? The names that get thrown around here are Renotech and Paul V at i think AP automotive, so I'd imagine that's the same place (have no idea if it's in Carlton or not). If there's a Paul V there, then he comes highly recommended! Yep, that's Paul at AV, many folks on the forum have their cars serviced there. As mentioned Renotech are also an excellent choice. Service is due in the next 5000 but just to be 100% I think I'll drop off for a quick service plus the pads are a little squeeky so they're warning me for a change. The car has been really well looked after and after a long search, I think I found the right one. Finally uploaded some pictures of my new ride, she's a stunner! ???? Hi folks, I hope it’s not frowned upon commenting a slightly different topic in this thread but I think it’s somewhat relevant. I noticed quite a few people in this thread mention Renotech in Sydney for servicing repair needs but unfortunately I am up on the Gold Coast. 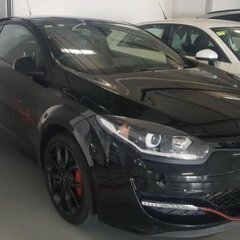 I’ve searched Renotech for the Gold Coast and Brisbane with no luck and I’ve done some searches for Renault workshops up here with some results coming up but obviously I have no idea if the workshops are reputable or not...all the google reviews for them are split down the middle saying they are amazing or absolutely horrible haha. Can anyone on here that has had first hand experience recommend a reputable workshop either on the Gold Coast or Brisbane? 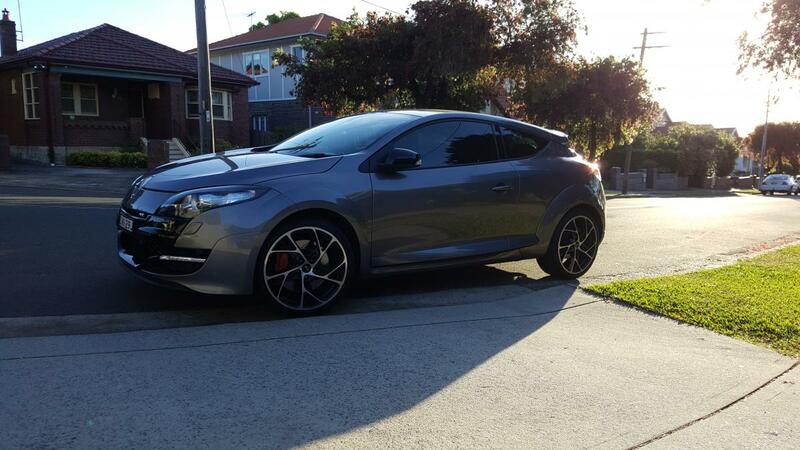 I am new to the forum and a new Renault owner. 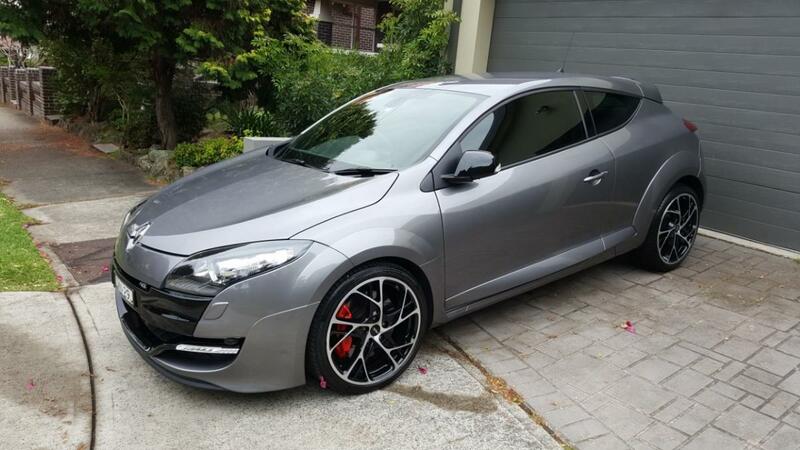 I pick up my 2014 Renault Megane RS 265 Cup on Monday. Very excited! Some here will certainly disagree but since you're after opinions based on experience you'll have to try one and see for yourself. Hi there, that’s great, thanks very much. Yes a French mechanic that specifies in French cars sounds like a winning formula to me. I will put this workshop down on my list of places to try out. I definitely don’t mind travelling up to Brissy from the coast either if it means leaving my car with a quality mechanic that knows his way around it.